Coming from a family where both her grandfathers were in the service, Danielle Marshall one day decided that she wanted to carry on the noble service to her country. She joined the military in 1997 and was stationed in Texas for her basic training. She said that immediately she saw changes in herself. She became more disciplined and strong. She had finally started shaping into the leader that she’d always wanted to be. She took pride in what she was doing and found camaraderie in her fellow service men and women. Danielle’s job in the service was in clinical lab technology (scientist). “I was saving lives at 19,” through her work, she said. After a couple years into her training, she was promoted to a Phase II trainer where she was teaching people how to do the job. She says that over the years, she’s grown to become a manager and a supportive leader. 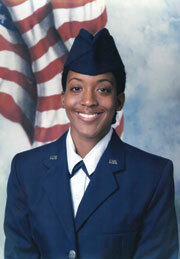 She completed her lab training in 18 months and then transferred over to Travis Air Force Base to active duty. She left the service in 2004 shortly after here. “Natomas is like a military community, that’s why we moved here,” she said. Today, Danielle is a consultant of a direct sales company; the president of the Natomas Chamber of Commerce’s Board of Directors and is still very much involved in the community. She also teaches small business, is a PTA mother and has been active with her mom’s passion of running a homeless food ministry. She says that she gets her passion for community service from her mother. Ron Hamilton joined the air force in 1965. He said he preferred to join the air force over being drafted into the army. He completed his basic training at Lackland Air Force Base in San Antonio, Texas. After that, he was in the 34/68 Training Squadron for nine months in Mississippi and left there as a radio relay equipment repairman. He was then stationed in Oklahoma City, Oklahoma in the 3rd Mobile Com Group for nine months. After completing his service there, he went oversees to Taiwan in 1967 with the 21/65th Com Squadron Detachment Two. He worked there at a radar site at the southern tip of the island where he maintained radio communications for the force. He and joined the 443rd Military Airlift Command to cross-train into flight simulator maintenance. Three months after his entire unit was transferred to Altus Air Force Base in Oklahoma, Ron received an honorable discharge for his four years of service. 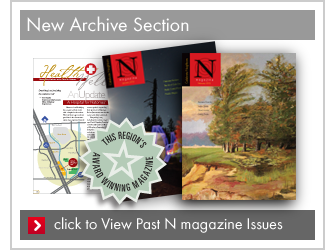 After leaving the service, he became a certified public accountant and moved to Natomas in 1973. He’s been here ever since. He says that one of his fondest memories from his service were the beautiful beaches of Taiwan. “It was interesting seeing different parts of the world,” he said. Sergeant Hamilton is now retired and loves to travel. 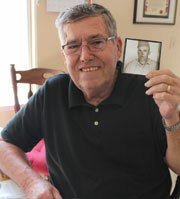 His son, Thomas, has been in the air force for 15 years now. Ron advises that if you are just getting out of high school and do not know what you want to do in life, joining the military is the best way to figure that out. 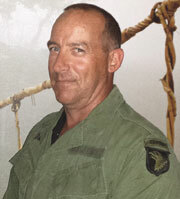 Sergeant Dan Stuart completed his basic training in Fort Benning, Georgia. His MOS was as an infantryman. 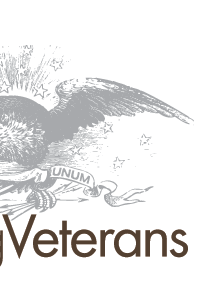 He was then stationed in Mannheim, Germany in the 4th Battalion, 8th Infantry Regiment for two years. While there, he went to the Defense Language Institute to learn German. Shortly thereafter he was part of the 101st airborne division between Kentucky and Tennessee. He served there from 1986 to 1988, serving a total of four years in active service. After he came back to California, he served in the National Guard in Auburn in the Active Ready Reserve until 1991 then left the service as a Sergeant. He left the service to continue his education. “I was able to see things that normal people can’t see,” said Dan. He says that his experience has boosted his confidence and can now effectively communicate with anyone. “I enjoyed my time,” he said. He also said that once he left the service, there were many employers who wanted to hire ex-military professionals. 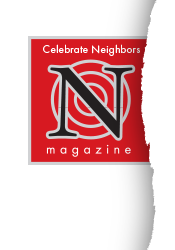 Today, Dan is an insurance broker and regional manager for the Natomas Shopper. He is also a member of the Natomas Chamber of Commerce Board of Directors. 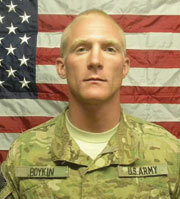 SPC Bradley Boykin joined the army in February of 2011. He attended basic training at Fort Leonard Wood, Missouri. He then was stationed at Fort Sill, Oklahoma, training for his current position as a cannon crew member in 2-15 Field Artillery. He is currently serving his country in Afghanistan and has been deployed since January 2013. Since his deployment, Bradley has won the award for Soldier of the Month, competing with three different FOB’s (forward operating bases). He has also passed the promotion board to qualify for his promotable status to become a noncommissioned officer, SGT. Upon his return, Bradley will be joined at Fort Drum, New York by his wife, three year old son, and two month old son who he has yet to meet. Bradley grew up in Natomas and attended schools in the Natomas school district. His mother and siblings still reside in Natomas. Throughout his school career, he was an outstanding athlete. He participated in football, basketball, wrestling, and rugby. Since his deployment, Bradley has decided to re-enlist for four more years. He hopes to attend Special Forces training. Bradley says that since his deployment, it has been very hard to be away from his loved ones, especially his wife and children, but he says it is a learning experience, a once in a lifetime opportunity and he feels proud of what he is doing for his country. Bryce Binger is an extraordinary young man who’s proud to say that he has served his country. 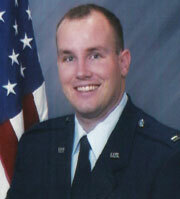 He joined the air force in 1997 through the ROTC program at his college. The training also counted as field training while he was enrolled in the program. He was then stationed at Travis Air Force Base and worked there as a nurse. In his job, he was able to work in outpatient medical/surgical unit, the inpatient oncology unit and in family practice. He served one and a half years in each of these departments before getting transferred to Nellis Air Force Base in Las Vegas. 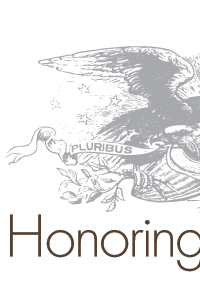 During that time, he worked two and a half years in the medical/surgical multi-unit service, housed active duty members – their dependants and military retirees and finished as the assistant nurse manager. Bryce was then transferred back to Travis where he was then stationed at McClellan. He worked there in the clinic. He separated from the service in 2006 as a nurse manager. He then left the federal service and joined the state service as a supervising registered nurse for the Department of Corrections and Rehabilitation. He says that the most important thing that he took away from his service is the large array of experience he was able to have in his role as a nurse. The teamwork and camaraderie he felt during his service isn’t something he feels he could have gained anywhere else. “You develop strong, positive, bonds in the service,” he said. ober.